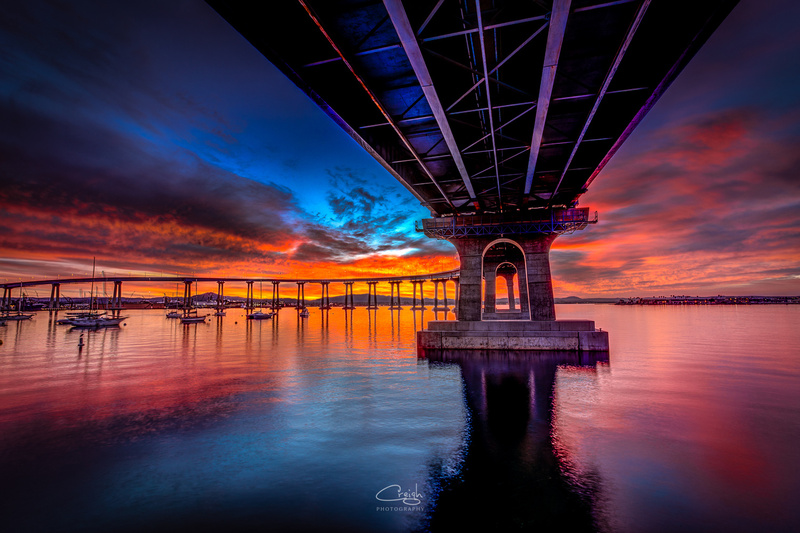 Coronado Bridge and sunrise, San Diego CA. 7 shot HDR. Fantastic vibrant shot under the bridge! Great work.